Synchronicity is a term that is much richer than in my use of it. that it needs to experience. The son of a highly educated Swiss clergyman, from an early age he loved to study ancient languages,literature and religions. At Basel University he specialized in psychiatric medicine; and then worked in a hospital with schizophrenic patients. In 1903 he married Emma Rauschenbach, heiress to a Swiss watch fortune. She bore him five children, despite his many affairs, and their marriage lasted until her death in 1955. His friendship with Sigmund Freud lasted for six years. Jung saw the unconscious as a fount of personal and cultural creativity, while Freud emphasized its negative role as a storehouse for repressed emotions. When Jung published Psychology of the Unconscious (1912), he broke from Freud, who now clearly considered his younger colleague a threat to his own authority as an analyst. Jung was adversely affected by hysteria, brought on by the horror of World War I. After the war he traveled to North Africa, India, and the United States. He studied worldwide wisdom traditions, Western spirituality, esoteric writings, and alchemy. He advanced the concept of the "archetype," the substance of a human collective unconscious. While remembered childhood events come from individual memory, the remembrance of past lives emanates from the memory bank of the collective unconscious. In his later years he studied differing personality issues among tribal people. He took an interest in UFOs. Delving into the occult, he had his own familiar spirit, Philemon. He invented the term "New Age." PETER To sum up your former doctrine of synchronicity: how do you hold it today? PETER Did the souls of starving babies want to starve? And what of the genocide in Rwanda? JUNG They did not want to starve; but they wanted to influence people throughout the world. Whenever a large number of souls come together in a manner which seems to be devastating, it is because they have agreed to be a catalyst for psychological and emotional change on the planet. Those who survived in Rwanda have found a strength unheard prior to the genocide. PETER This seems abominable cruelty on the part of the spirit world. That so many people should die and suffer torment is hellish! JUNG We do not expect the mortals, who are not in contact with their souls to feel and appreciate the beauty of what takes place. They did not want to starve; but they wanted to influence people throughout the world. Whenever a large number of souls come together in a manner, which seems to be devastating, it is because they have agreed to be a catalyst for psychological and emotional change on the planet. Those who survived in Rwanda have found a strength unheard prior to the genocide. Each soul determines its own pathway and the means of its journey. The "abominable cruelty" is a human judgment. Judgment does not exist at Home. Hell exists only upon the Earth. PETER Jesus said, "Love your enemies." The implication is that this is the right thing to do in all circumstances, but you seem to imply that in a confrontation the right thing to do might sometimes be to hate your enemies. JUNG When Jesus spoke of loving your enemy, he spoke of loving the essence of your enemy, not the actions that he does - that's where the distinction is. You can love the soul, who is behind the mask, behind the brutal person and not love the acts that he commits. You still love him at the soul level. 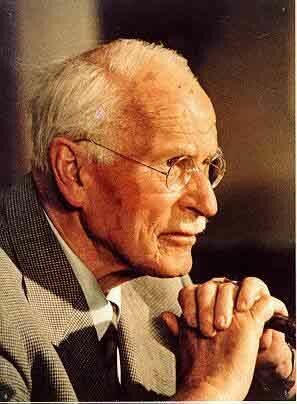 Toni comments: Carl Jung was the first Leader we interviewed, and I felt as if I were at the feet of an old professor, gently introducing a neophyte to a broad range of fresh thoughts and feelings. There was a tenderness displayed, as if our hands were being held while we confronted a spiritual universal knowingness.